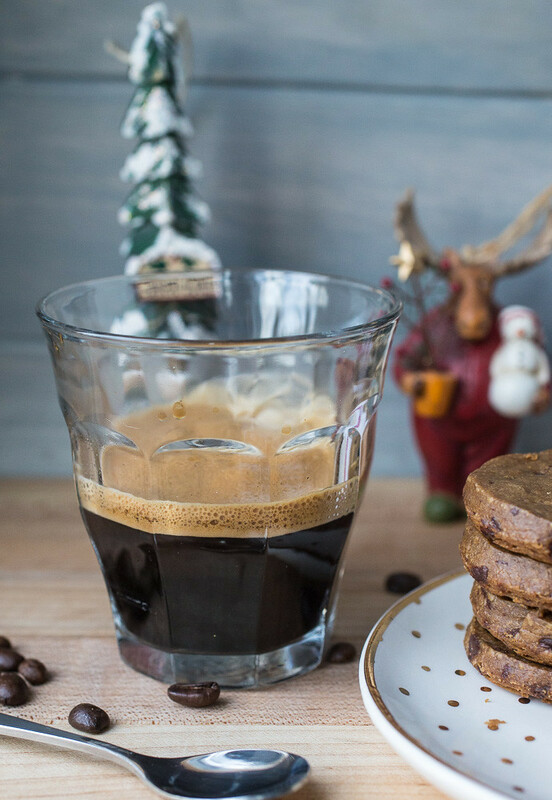 For the coffee/espresso and chocolate lover in all of us, these espresso dark chocolate sablés are a match made in heaven. One of the things I love most about the Christmas season is that there is always a legit excuse to make cookies. ‘Tis the season and all of that stuff, right? My holiday baking list this year was already on the long side but I had to add these espresso dark chocolate sablés from Dorie Greenspan’s newest book, Cookies. Tomorrow’s cookie recipe is another add-on but I need to lament about these cookies first. It’s no surprise that I would love another espresso sweet treat (see also: more cookies, brownies, muffins, whipped cream, and ice cream) or that I would adore another Dorie recipe (we go way back: jammers, no-crack cheesecake, sticky buns, snickery squares, peanuttiest blondies, almost-fudge gâteau). So when the two collide? I’m all over it! 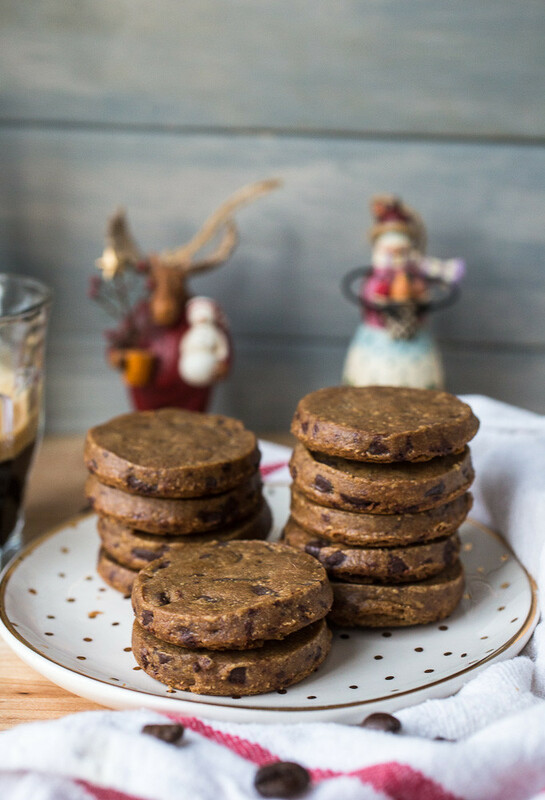 These cookies are nothing fancy, really: flour, sugar, salt, vanilla, cinnamon, lots of butter, homemade espresso extract, and a boatload of chopped bittersweet chocolate. It’s the combination of really good ingredients (helloo Ina!) and a super-secret baking method (not really) that puts them over the top. The dough is rolled out and then chilled (brilliant!) and you’ll pop out 2-inch rounds with a cookie cutter. Bake the rounds in a muffin tin (whaaat??) and each cookie turns out the exact same size – no spreading, leaking, or sad-looking cookies. I absolutely LOVE this method – even more so than the rolled-dough method – and I can see myself using it frequently. Also, want smaller cookies? Use a mini-muffin tin and smaller cookie cutter! Anyway…the espresso dark chocolate sablés themselves are rich and deeply flavored. Not overpoweringly coffee-flavored; just enough to remind you of why you love coffee and espresso so much. The bittersweet chocolate, of course, is the perfect match for any baked good containing coffee/espresso. I sneaked a few of these yesterday afternoon with a half-caf double espresso (holla to this year’s Christmas present to myself!) and then we piled these guys high while we trimmed out the tree last night and paired them with a glass of Baileys-spiked eggnog. ‘Tis the season and all those things! Pour the boiling water over the espresso powder and stir to dissolve to make a coffee extract; set aside to cool. In the bowl of a stand mixer fitted with the paddle attachment, beat the butter, sugar, salt, and cinnamon at medium speed for 3 minutes. Scrape down the sides and bottom of the bowl and mix in the vanilla and coffee extract at low speed until combined. With the mixer off, add the flour and mix on low until just barely incorporated. On low speed, stir the chocolate into the batter. Scrape the sides of the bowl and give the batter a few good stirs. Divide the dough in half, shape them into discs, and place one of the discs between two pieces of parchment paper. Roll the dough out to a ¼-inch thickness; repeat with the second disc and two more pieces of parchment. Refrigerate the dough in the parchment (you can stack them) for at least 2 hours or freeze for at least 1 hour. When ready to bake, preheat the oven to 325° F and ready a 12-well muffin tin. Working with one piece of dough and a 2-inch cookie cutter, cut out rounds and drop each into a well of the muffin tin. When the muffin tins are full, bake for 18-20 minutes, rotating the pans from front to back halfway through the time. In the meantime, gather up the scraps, re-roll, chill, cut, and bake. Repeat with the second piece of dough. Cool the cookies in the tins on a wire rack for 10 minutes then slip the cookies out of the tin (a small offset spatula or butter knife works well here) and cool the cookies completely on the rack. Store in a tightly sealed container at room temperature for up to 3 days. 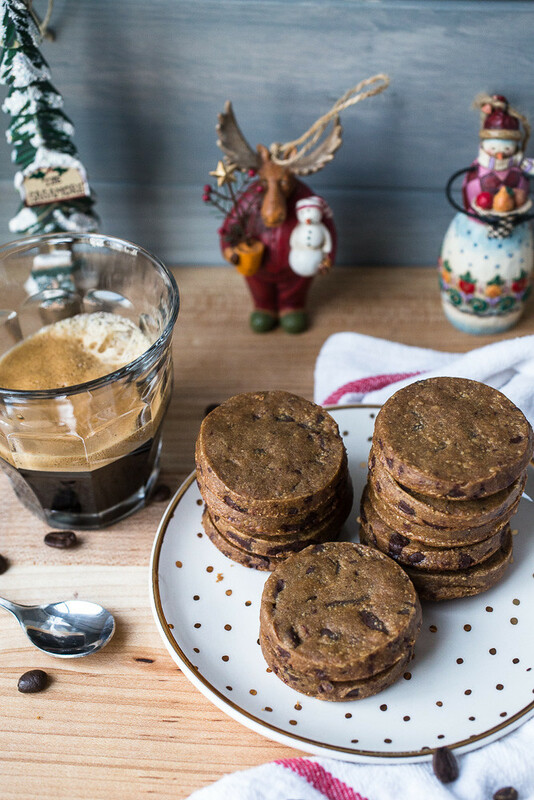 If you're not ready to bake all of the cookies at once, cut all of the dough into discs, freeze the discs on a parchment-lined baking sheet, toss the discs into a zip-top freezer bag, and freeze until ready to bake. At that time, you'll just need to preheat the oven, pop the discs into the muffin tins, and bake! 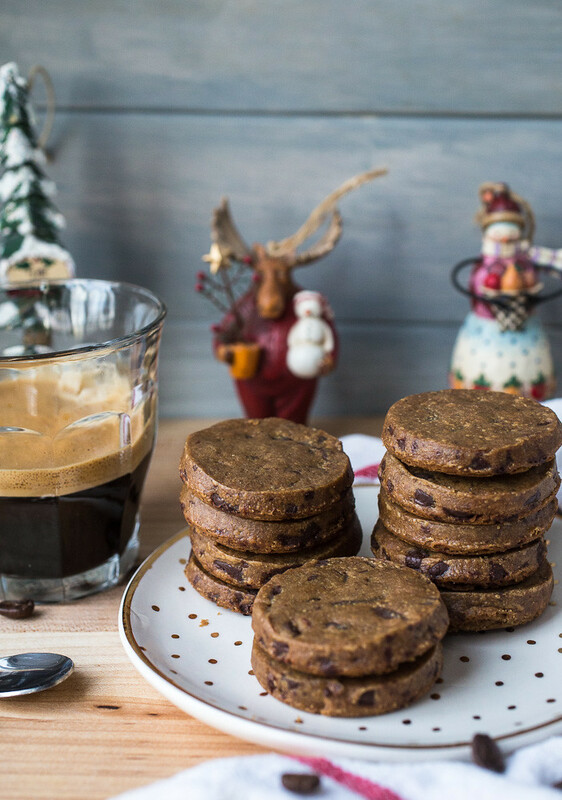 If you’re not ready to bake all of the cookies at once, cut all of the dough into discs, freeze the discs on a parchment-lined baking sheet, toss the discs into a zip-top freezer bag, and freeze until ready to bake. At that time, you’ll just need to preheat the oven, pop the discs into the muffin tins, and bake! SO SO EASY! When ready to bake, preheat the oven to 325° F and ready a 12-well muffin tin. Working with one piece of dough and a 2-inch cookie cutter, cut out rounds and drop each into a well of the muffin tin. When the muffin tins are full, bake for 18-20 minutes, rotating the pans from front to back halfway through the time. In the meantime, gather up the scraps, re-roll, chill, cut, and bake. Repeat with the second piece of dough. Cool the cookies in the tins on a wire rack for 10 minutes then slip the cookies out of the tin (a small offset spatula or butter knife works well here) and cool the cookies completely on the rack. Store in a tightly sealed container at room temperature for up to 3 days. These cookies look and sound absolutely incredible! I made sables YEARS ago (and I think from a Dorie recipe, nonetheless), but the muffin pan trick is genius. Adding these to my to-bake list!